Today’s piece is an extension of articles that have been written previously by a chap called Jonathan Jennings. 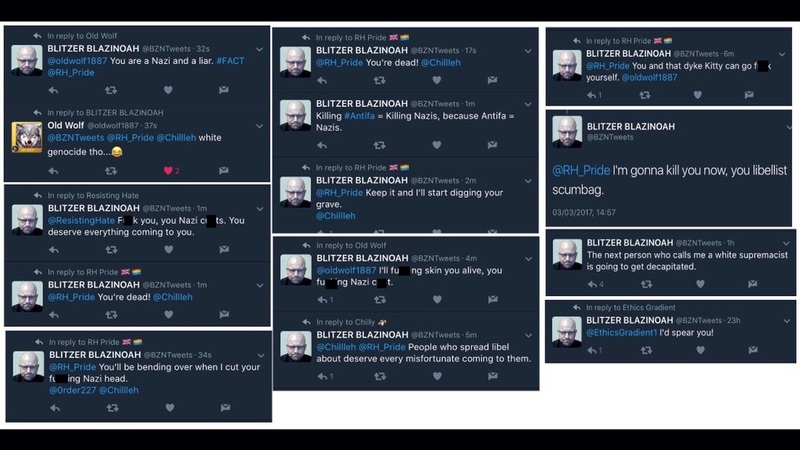 Previously we mentioned that we have had death threats via his podcasts and suchlike. Today, things took an alarming turn with him putting his hate in writing. 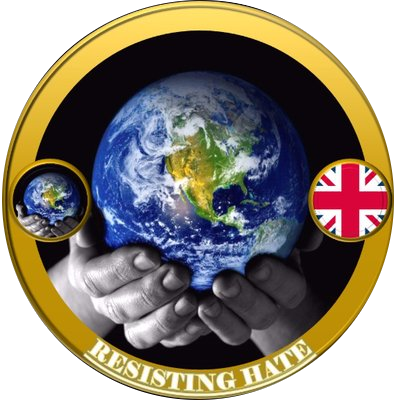 He was targeting not only our main account @ResistingHate on Twitter but also @RH_Pride (our advocate for fair treatment of all regardless of gender or sexuality) Old Wolf and a few of our friends who aren’t part of our organisation but who help us out in some amazing ways. Jennings is an individual who says we “whites” are subjected to “white genocide”. 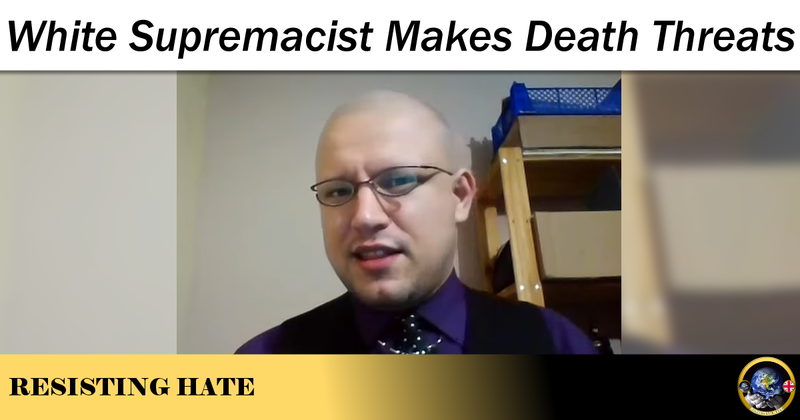 However he does say he is not a white supremacist despite saying that gays/non whites/non Christians are second/inferior to “whites”. Now, calling him out on his abuse makes him cross, very cross apparently. So cross that he wants to kill/maim/murder anyone who says he is exactly what he is. Jennings is a little man who lives in Wales and has already been exposed as a brash Islamophobe who likes to make idle threats against us “lefties”. 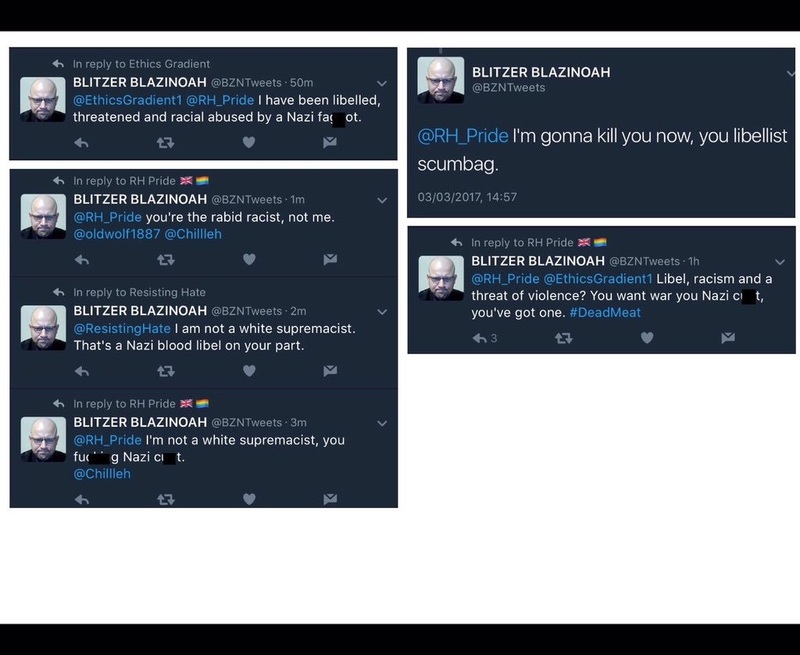 However he has recently been departing into specific abuse of individuals plus is now developing homophobic tendencies as was exposed during his conversation with @RH_Pride. Furthermore, his threats are now not only against us and our friends but also other people including MPs. 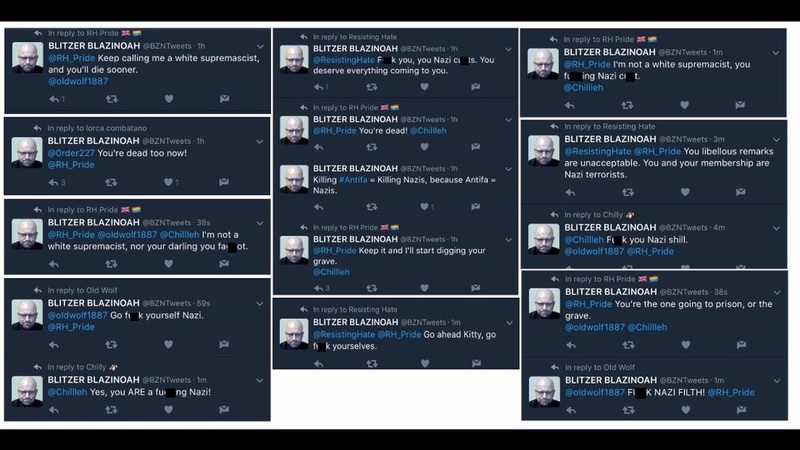 In addition to this he is a major proponent in stating that murdered Jo Cox was a traitor and apparently part of the New World Order (yes…he really is actually that crazy and deluded). We are, as a team, hoping that our reports and articles which have also been flagged to the police get noticed as this kind of abuse cannot be allowed to continue. 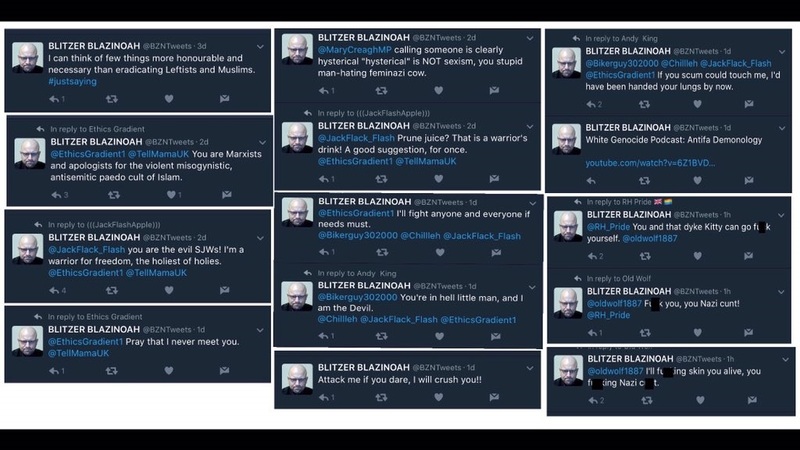 If you read the screen shots including the ones of his YouTube channel you will see that his abuse is directed to many people, as he seems to look for people to abuse and troll. 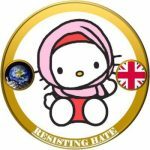 If you can, please share this post together with the attachments to it as it shows what kinds of abuse we, along with other groups who aim to address right wing hatred encounter on a daily basis. Derek is rattled about an upcoming Channel 4 documentary, they are now looking at links to him. I, of course, suggested you, Carleton and Raybould/Damji/Graham. 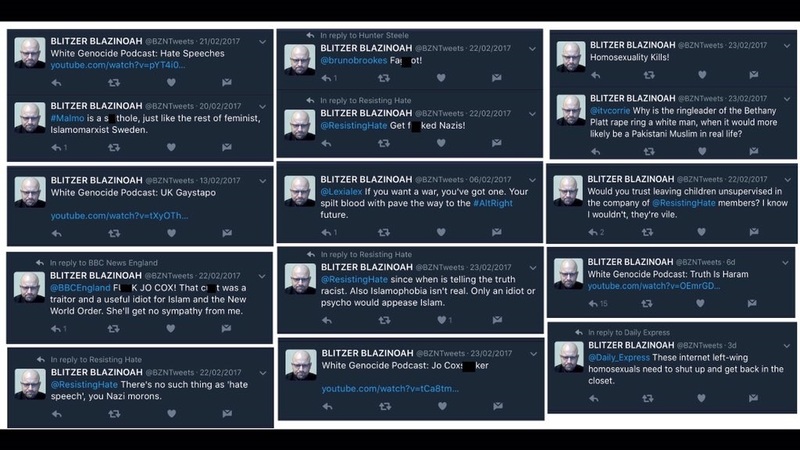 Pingback: Welsh White Supremacist arrested for Twitter death threats was selected to speak on BBC Question Time.